A coterie of inheritors of Denver's old money, including twenty-four year old Stephen Thaxton, find themselves inextricably entwined in an imperative to close a hoary circle left open in the other world, the other side where retribution is sought for wrongs committed by their progenitors a century before; wrongs that eradicated wolves from Colorado, and saw the indigenous Indian tribes of Colorado robbed of their lands, all to enhance the wealth and privilege of those who now find themselves the last of their family lines. Finding Deaglan is a big, sweeping novel, ranging a hundred and more years through time, involving many of the leading families of Denver. Fortunes were dragged out of the mountains, grave injustices done, and now George Seaton spins a Gothic yarn to right some part of the damage. The ensemble cast features the last scions of many of Denver's leading families, which made their fortunes in ways both fair and foul. A hundred years removed from the original crimes, the author makes sure we know these are much nicer people, who right wrongs, do business honestly, and bounce small children on their knees, but they are still expected to pay for crimes that echo through time. What happened in the historical massacre Seaton invokes and in the deliberate slaughter of the wolves was awful, but horror on horror has to be added to the ancestral crimes, until we are sure their hearts were so evil that their sins ought to be visited unto the seventh generation, except that the families are ending a few generations short. The most interesting characters are Merriweather, the psychic who interprets the paranormal goings on, Tasha, the young Native American woman who has been trained by her grandfather, Two Looks, in the old ways, Two Looks, who is still quite spry for being a hundred years old, and Mobley, the irascible lawyer who is unfortunately not given his worthy opponent. The other voices tend to blend together. 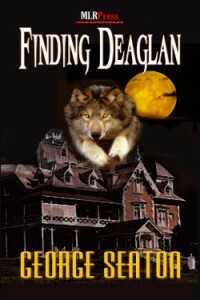 They, with Deaglan, the mysterious baby, have a task to complete on behalf of the spirits: wolf, human, and Wolf. The paranormal elements are only understood by a few; it remains an open question precisely what they accomplish. Trummel looked up, smiled into the exquisite blue of the April sky that hovered just above the tops of the tallest of those Seventeenth Street edifices where the rich, no, the extremely wealthy did their deals and perhaps cavorted with the devil as they counted their millions. Some is just long: sentences with four actions and two descriptions each aren't uncommon, and every single motion is important enough to mention. Every small step of preparing a cup of coffee, for example, isn't that fascinating. A stronger editorial hand could have trimmed the irrelevant, redirected an off-the-wall subplot with Finster and Mobley into something that connected better with the main story, and softened some black-and-white ancestral issues into less heavy-handed and more interesting shades of gray.